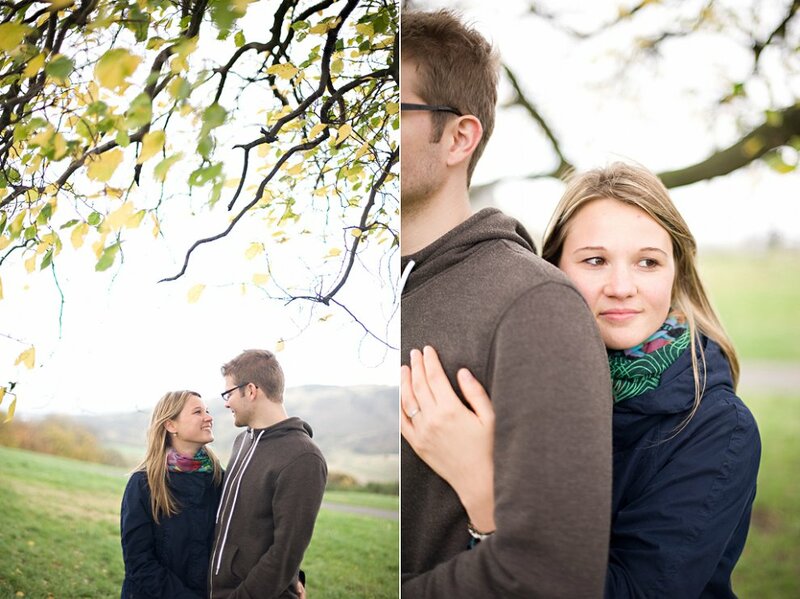 So, this was an engagement shoot with a difference... as Thorsten & Biene actually GOT ENGAGED during the shoot. Wow! 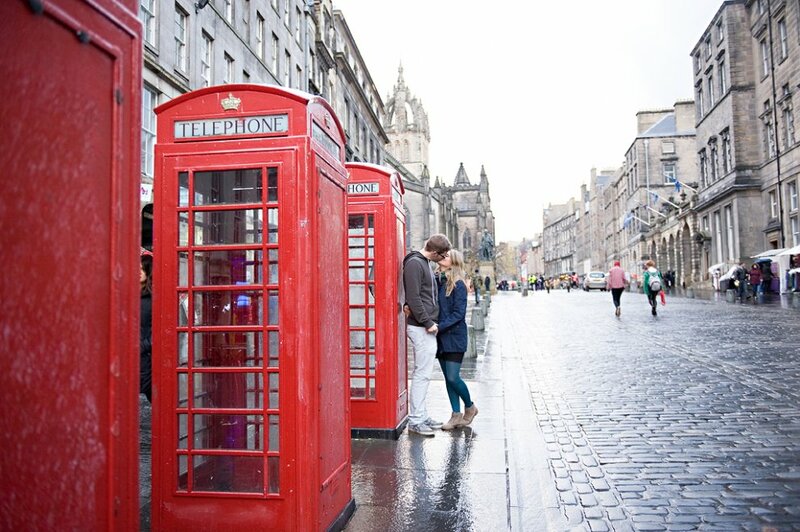 This followed a top secret operation which carried on for a couple of months via email, after Thorsten had contacted me back in August from Germany with his plans to propose to his long term girlfriend (and high school sweetheart) Biene on a short break in Edinburgh. 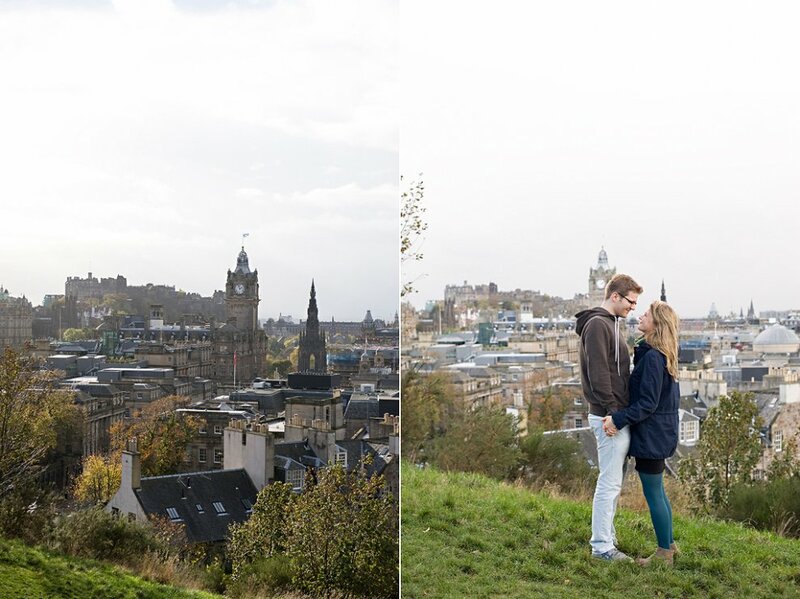 The day came and it was a drizzly Edinburgh day at the end of October, with gusts of wind blowing over Calton Hill. 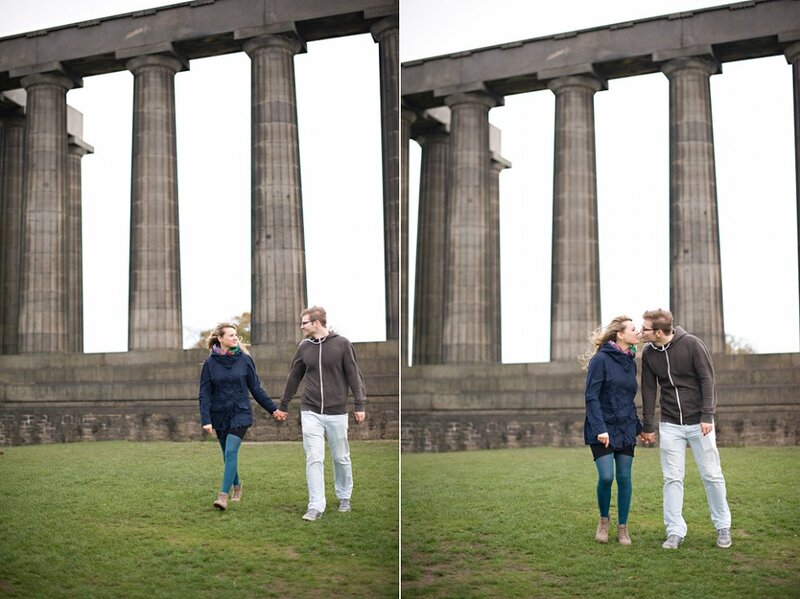 Gary (my husband who I had roped in as an accomplice) and I followed Thorsten and Biene to the Duguld Stewart monument, where, with the skyline of Edinburgh to his feet, Thorsten popped the question to an unsuspecting Biene. Yes, she said yes! 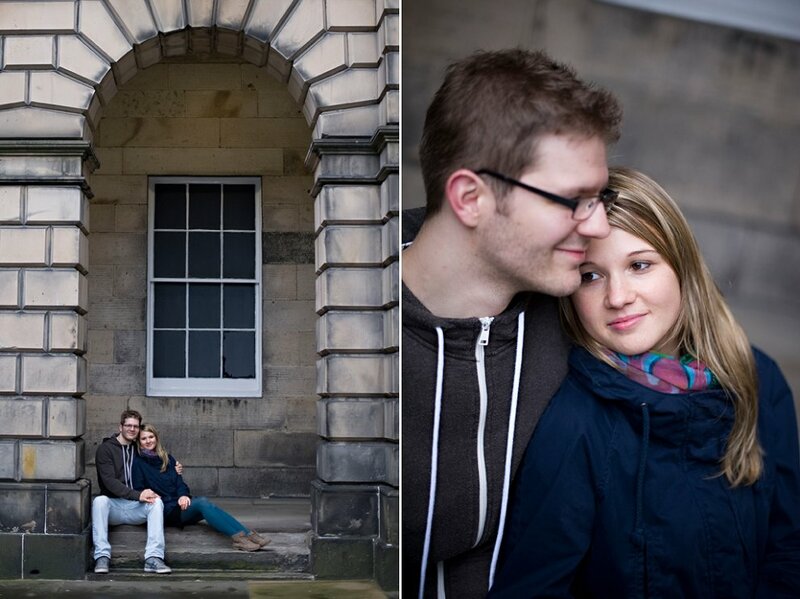 My identity was then revealed :) and we did a proper engagement shoot, first on Calton Hill, and then on the Royal Mile in the Old Town, which is just full of atmosphere. 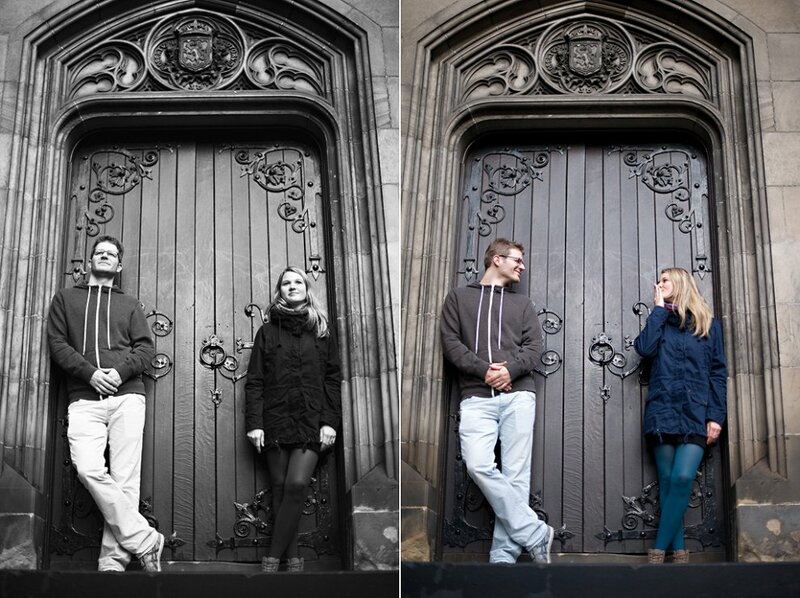 What an awesome day and awesome idea by Thorsten. 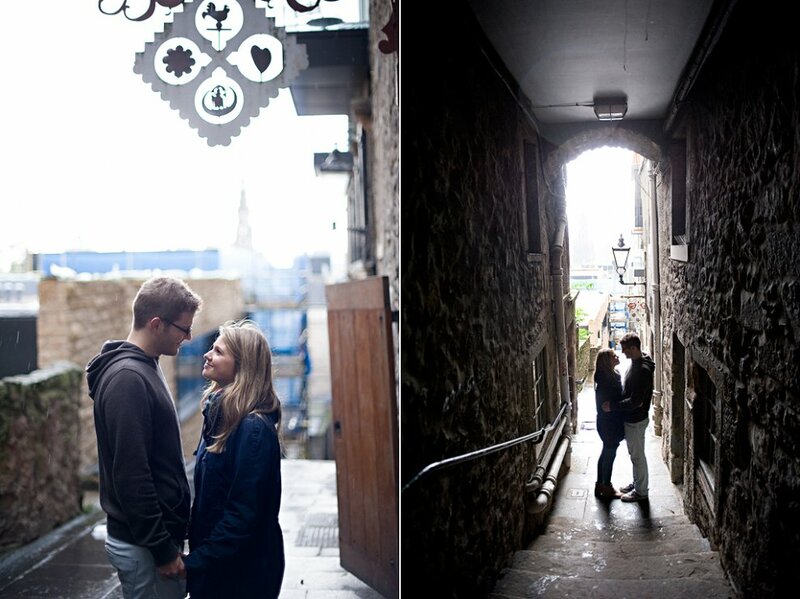 Edinburgh will be their special place forevermore! I'm also a tiny bit jealous that they have all the cool photos to look back on now and remember the day! Thanks again so much, Thorsten, for allowing me to be a part of this; it was truly, an honour and privilege, and I don't say this lightly. 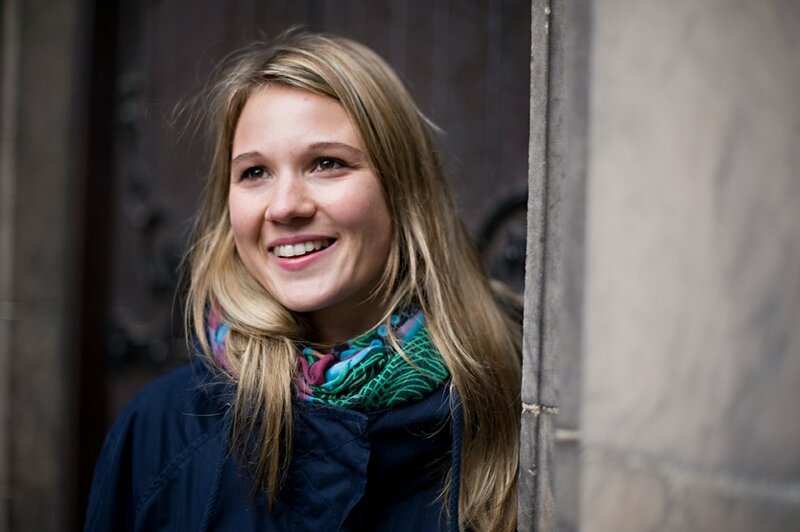 And for Biene for being unbelievably calm - this girl had only found out in the morning she was going to Edinburgh, then was proposed to by lunchtime and thrown into a photo shoot! And rocked it!